Non-members can register at the Affiliate rate. 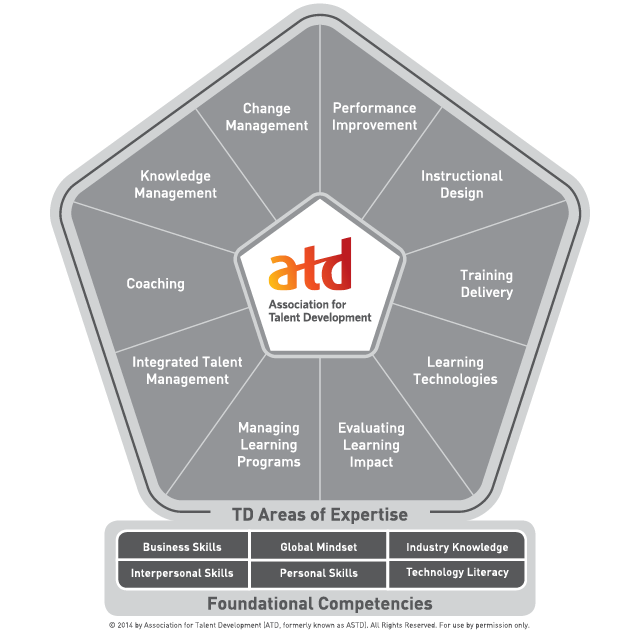 Enter the Promo Code found in the ATD-OC LinkedIn Group post. One of the biggest challenges in delivering virtual training is how to keep your audience actively participating. The purpose of this isn’t just to discourage multitasking, but more importantly, to ensure that your audience connects with you, finds value, and ultimately learns from you. Most training professionals know the functionality of webinar platforms; how to start, screen share, view the chat and record. But you may have asked yourself, How do I create an interactive experience that goes beyond Q&A and the chat box? Join this session to recharge your creative thinking cap and experience best practices in audience engagement for virtual delivery! Talent Development professionals who deliver synchronous virtual training or want to transfer in-person training to a virtual course. Outline top engagement tactics that are easy and effective. Identify in-person presentation techniques that can be transformed to fit the virtual environment. Utilize elements of the flipped learning model to maximize in-session time. Illustrate best practices in managing the webinar platform to ensure attention and engagement during your session. Discover ways to extend interaction outside of the training event to prepare the mindset of your audience before, and encourage conversation after. Corena Bahr is a Webinar & Virtual Training Consultant. Through her consulting company, Your Webinar Guru, she teaches her unique approach to creating virtual training that delivers interactive learning experiences. Corena has over 15 years in Learning and Development with companies like Citrix Online and Comerica Bank, and has a unique blend of expertise in instructional design, corporate training, virtual learning and technical writing. She has been a speaker at conferences for National Association of Women Business Owners, Women's Economic Ventures and SALT New Learning Technologies. Corena is also an author for LinkedIn Learning. Logon at 6:15 for informal networking! This March, we seek to update our member's awareness and use of technologies in their training interventions.